Mix the greens (kale, arugula, and parsley) together, then juice them. We find that juicers can really differ in their efficiency at juicing leafy vegetables, and you may need to rejuice the remnants before moving on to the other ingredients. 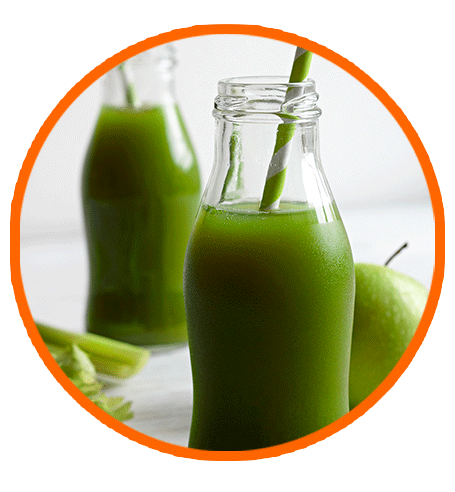 The goal is to end up with about 2 fluid ounces or close to 1⁄4 cup (50ml) of juice from the greens. Now juice the celery, apple, and ginger. You can peel the lemon and put it through the juicer as well, but we find it much easier to simply squeeze the lemon by hand into the juice. By this stage, you should have around 1 cup (250ml) of juice in total, perhaps slightly more. It is only when the juice is made and ready to serve that you add the matcha. 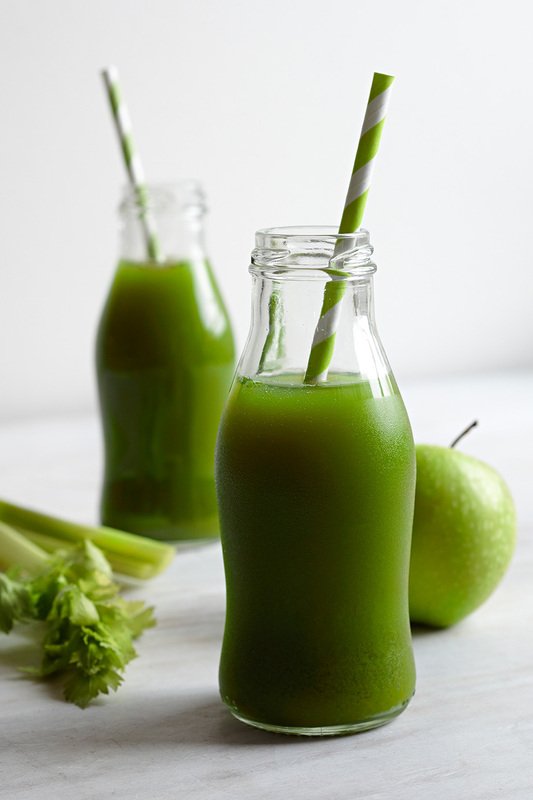 Pour a small amount of the juice into a glass, then add the matcha and stir vigorously with a fork or teaspoon. Once the matcha is dissolved, add the remainder of the juice. Give it a final stir, then your juice is ready to drink. Feel free to top up with plain water, according to taste.